If you’re looking to start selling things via a WordPress website, WooCommerce is the obvious solution. Brought to you by the developers behind WooThemes, the core WooCommerce plugin is completely free and lets you add complete eCommerce functionality to your website. That means stylish product pages with prices and pictures, a working basket/checkout procedure, and, by integrating WooCommerce with one of the many payment processors, a way to handle payments. This has resulted in an impressive 6.1 million downloads to date. Because of WooCommerce’s popularity, there are a huge number of WooCommerce “add-on” plugins in development, which you can install to extend the core functionality. If you want to get the most from your eCommerce store, here are six useful WooCommerce extensions. The Internet has made it incredibly easy for customers to shop around to find the best deals, and this has resulted in a generation of hard-core bargain hunters. 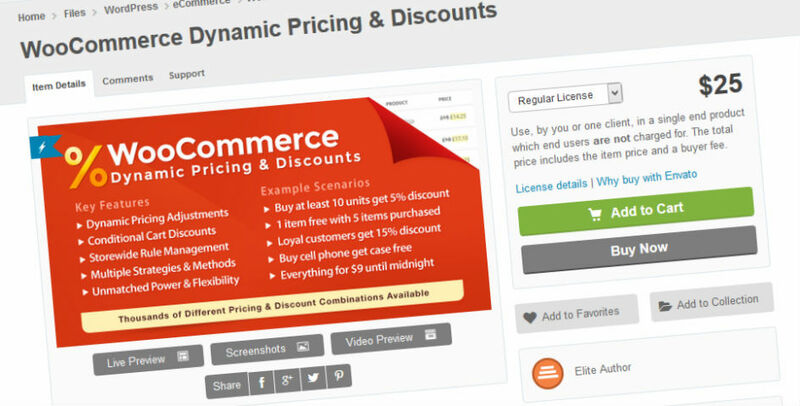 To keep your prices competitive, the WooCommerce Dynamic Pricing & Discounts plugin lets you configure sophisticated conditional pricing rules for your products. You can link products, reduce prices, and offer bulk order discounts to keep prices down and customers happy. If you want your eCommerce store to thrive during the Christmas and Black Friday promotional periods, this plugin is a must! For eCommerce stores, attracting new customers is often far more costly then encouraging your existing customers to buy from you again. WooChimp is the ideal solution for WooCommerce users to grow their mailing list. It integrates seamlessly with MailChimp, and gives customers the opportunity to subscribe during the checkout process. By now, we’re all well aware that social media is a great source of traffic for a website. 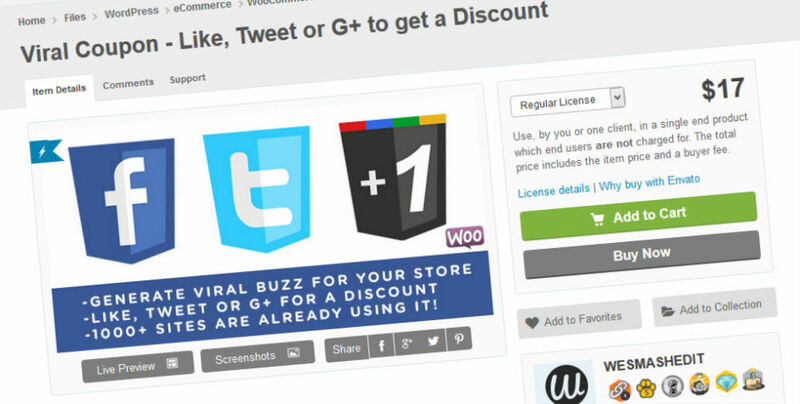 If you want to attract more social traffic, the Viral Coupon WooCommerce add-on is an effective way to incentivize visitors to share your link via Facebook, Twitter, or Google+. In return, you can reward them with an exclusive coupon offering money off their basket during checkout, or other perks including free shipping. For eCommerce stores, it’s all too easy for shipping costs to eat into already tight margins. The Table Rate Shipping for WooCommerce add-on lets you charge a variable shipping rate to protect those margins. You can set a variety of conditional rules based on customer location, basket weight, and order value, to name just a few — these rules are fully stackable, too. Outstanding customer service is a fundamental component of any successful business. If you want a convenient way to manage your customer service activities, look no further than the WooCommerce Customer Relationship Manager plugin. The plugin creates a new WordPress user role for your website: customer. This allows you to make customer notes, view order history, log phone calls, and record email correspondence with customers directly from within the WordPress dashboard. If you want to extract the maximum lifetime value from each customer, you need to find ways to keep people coming back to your store over your competitors. One of the most effective solutions is to set up a loyalty scheme, which can be done using the Loyalty Rewards for WooCommerce plugin. The plugin lets you offer reward points based on order value, products, coupons, and subscriptions, which can be exchanged for money during the checkout. You can also offer loyalty points as an incentive for buyers to leave product reviews. All the WooCommerce extensions featured in today’s article will add value to your eCommerce website by retaining customers, running effective promotions, managing customer service, and increasing visibility via the social channels. The core WooCommerce is still a really great plugin, but with so many cost effective solutions to extend its functionality, you’d be crazy not to! 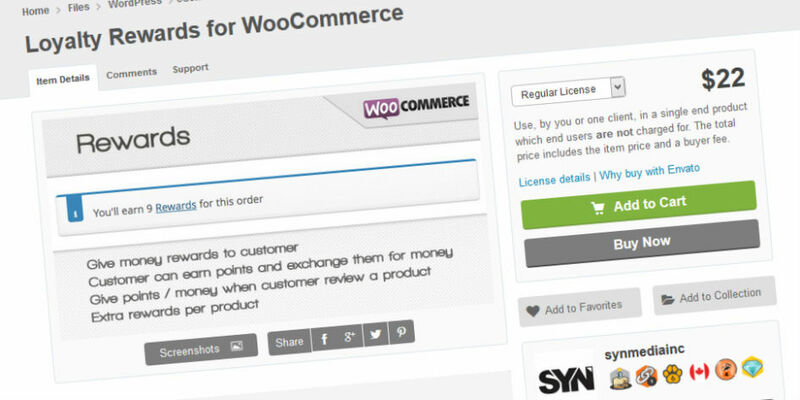 Do you know any other great WooCommerce extensions? Let us know in the comment space below!